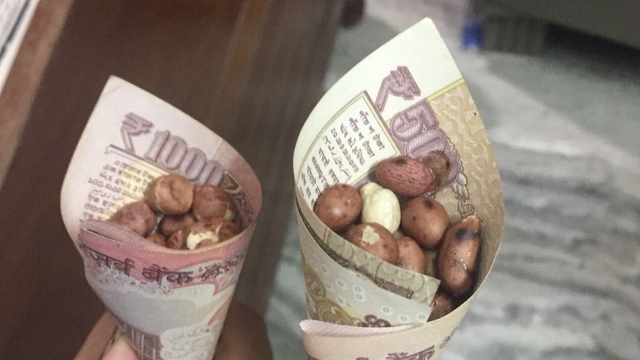 The demonetization of INR 500 and INR 1000 Indian Currency Note has come as a surprise to everybody. Whatever change is going to happen, but, this is the first time in my life when I have sensed that a person who is living on his liabilities, honesty and morality is feeling safe in this country. “Honesty is the best policy”, the saying, in fact, is now making much sense for the Indians. But, this isn’t the only change, which made Narendra Modi’s mind to take such a huge step, there were a lot of factors that bound him to do this. So what was that? Why this decision came into effect so sudden? Is it for unaccounted money? If yes, then what kind of effect will be seen, if that black money will become white or get captured by the country’s central body institutions. So many questions are raised. Despite possessing legal earnings, Indians (Mostly in rural areas) accumulate their makings either at their home or lend them to the nearby surroundings. Even in the 21st century, when the banking network has spread more or less in every small area, money lending, the oldest form of business, is still effective in many areas. With these changes, people who have a lot of legally earned cash in their pocket or at home, will have to deposit it in the bank before the date proclaimed by the government (30-Dec-2016). As it is legally earned money, it will surely be deposited in the banks (with id proof) and this will let the banks house surplus amount. Now, talking about black money basically found in large digits i.e. crore or more than it undoubtedly carry INR 500 and INR 1000 currency notes, acquired through unrecognized or illegal ways, has no option other than to be destroyed or to be deposited. But, for considering the second option, they have to disclose it as legal income and have to pay heavy tax on it. So, how they’ll make it possible with these legal boundaries.No matter, if they found a way to make their income legal or they just get frightened, they have to pull out all the money that is not under the account of Indian government. Later on, it will help to minimise the total currency circulation in the Indian economy. As the currency circulation will be reduced, the inflation rate will also become negative, it is known as deflation. Although, deflation leads to unemployment problem, it increases the internal value of money as well. So, the bottom line is: The demonetization of INR 500 and INR 1000 currency notes is such a positive move for the Indian economy as well a good lesson to those who are playing with Indian taxation policy.